When I was out in CA we made this drink on New Year’s Eve and it was awesome! I saw an episode of Giada de Laurentis where she made a berry thyme jam that sounded awesome. I’m not sure why, I must have been a bit thirsty, but I thought it would make an amazing drink. 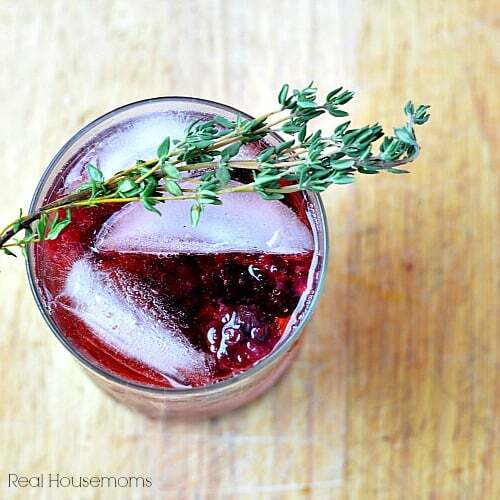 I’ve started to see a lot of herbs that I usually think of as being savory in drinks. My Mom just spent some time with my future sister-in-law’s sister. (Did you follow along there?) She told her about a drink with basil in it that she likes. I’m gonna get the recipe and I’ll share that with you too. It’s one of my new favorite things. Isn’t this beautiful? It tastes even better than it looks too! 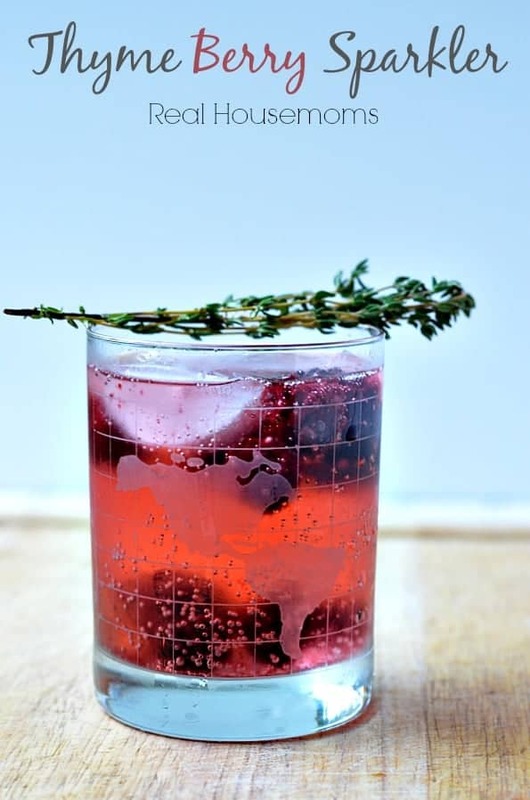 This cocktail of berries, gin and St. Germain is sweetened with a thyme simple syrup and topped off with some sparkle! Oh that looks so yummy! I love blackberries. This sounds so refreshing and tasty! I love the thyme addition. I saw this on Strut Your Stuff at Six Sisters, and we’d love to have you join us at Saturday Night Fever tomorrow night too if you are looking for a new party!